I am a lucky lady. Mr. Giggles takes me and his daughters to spend the month in Europe. I love this adoption of taking a “holiday.” It is also coincidental that his oldest daughter, myself and he all have our birthdays in August. This really takes on even more of a meaning when I celebrate birthday month! We spend part of the month off the coast of Spain, on the island of Mallorca. The rest of the time is spent in his family’s farmhouse in Germany. The wonderful thing about spending this time away is that I really get to enjoy lazy days of going to markets, picking up the most incredible products from fish to food to jam. All made and sold by town locals and all delicious. During our time in Spain we always make sure to have sunset cocktails on the roof of the house. The girls love to make fresh orange juice and we, obviously, have campari in ours. 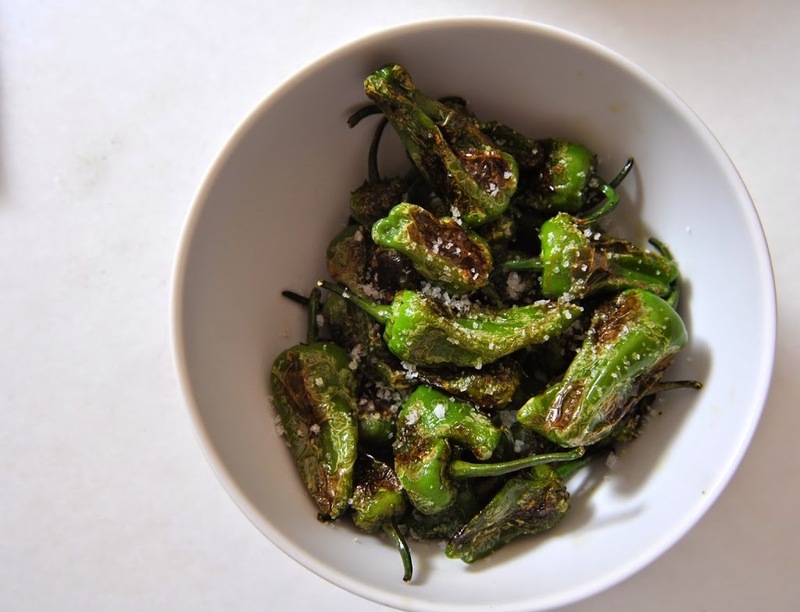 There is always a snack, as well, and more often than not it consists of a big bowl of sautéed padrón peppers we have picked up from our favorite fruit and vegetable lady, Peppa. These little green delights couldn’t be easier to make and easier to nibble on. They aren’t spicy (well, if picked at the right time they shouldn’t be spicy) and hit with some really nice sea salt they are such a satisfying snack! In the states I rarely see them at grocery stores, but most good farmers markets should have them during the summer months. 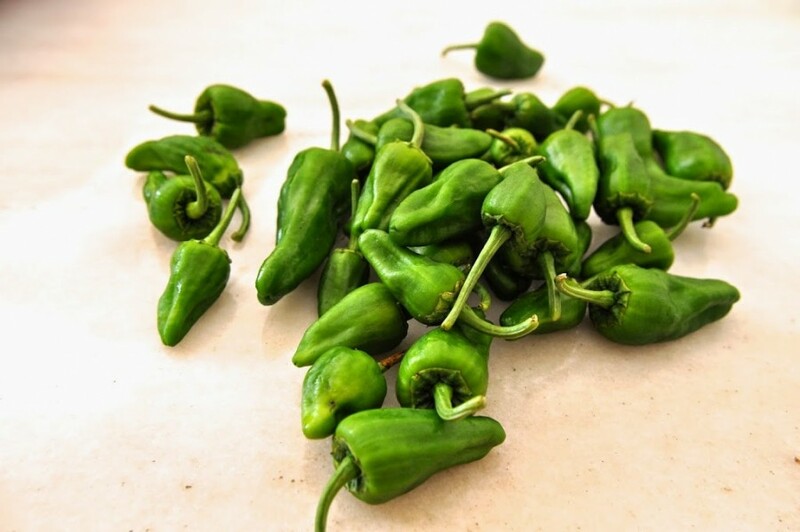 Grab some, sauté them up and enjoy a little taste of Spain! Preheat a large sauté pan over medium-high heat. Add a good glug of olive oil. Toss the peppers on the pan and saute, shaking occasionally, for about 8-10 minutes until the peppers are blistered and soft (add more olive oil if needed while cooking). Sprinkle heartily with sea salt, shake again and pour into serving bowl!